Beggars Arkive have announced the 2XLP reissue of Gary Numan‘s Dance on purple vinyl due out on 19 January 2018, pre-order here. 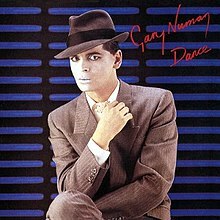 “Dance was Gary Numan’s fifth studio album and was released in 1981. Beggars Arkive are to reissue this album on purple vinyl, double LP. The original 50 minute album was cut onto a single LP with a resulting compression and compromise to the sound. For this new double vinyl edition, the tracks have been mastered over three sides for improved fidelity and the fourth side contains relevant singles, B-sides and an out-take. Additionally the previously unreleased, full length version of “Moral” has been used to close out the original album. The double LP will be released as a limited edition on purple vinyl in an adapted, color-corrected gatefold jacket with two printed inner sleeves. Transferred from the analogue tapes at Loud Mastering, the original album is also available in 96khz/24 bit high resolution digital. Pre-order here.